In just over three decades, SAIPA has become the second-largest accountancy body in South Africa, playing an increasingly strong leadership role in developing the profession locally, as well as in Africa and internationally, and facilitating the entry of previously disadvantaged individuals into the field. SAIPA is a prestigious organisation steeped in the values of excellence, professionalism and integrity. With over 35 years we are mature citizens of the accountancy profession, who are not complacent, but strive to continuously improve the services we offer our members. We have evolved over the years and are now at the cutting edge of growing and transforming the accountancy profession. 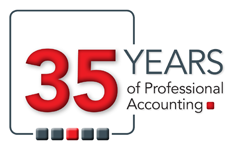 Initially called the Association of Commercial and Financial Technicians of South Africa (ACFT), our name was changed in 1986 to the Institute of Accounting Technicians of Southern Africa (IAT). By 1988 we had 3,000 members and were the fastest-growing accountancy body at the time. In 1992 we became known as the Institute of Commercial and Financial Accountants (CFA), aligning more with the profession of accountants. In 1995 we became a full member of the International Federation of Accountants (IFAC), and today we are one of only two accountancy bodies in South Africa that are full members. In 2004, we became the Institute of Certified Public Accountants (CPA), bringing both the name of the organisation and the designation in line with international standards. Finally, in 2006 the name South African Institute of Professional Accountants (SAIPA) was created, signifying the role that SAIPA fulfils in the profession.